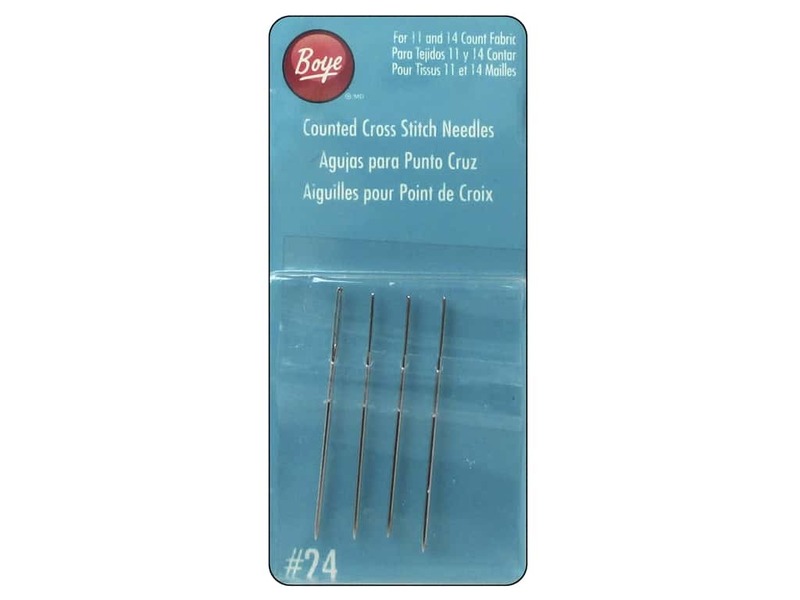 Description: Boye Counted Cross Stitch Needles has a long, thin eye that is ideal for thicker threads. These needles are perfect for 11 and 14 count fabrics. #24. 4 pc. Boye Counted Cross Stitch Needles #24 4 pc. -- CreateForLess 5.00 out of 5 based on 2 ratings. 2 user reviews.